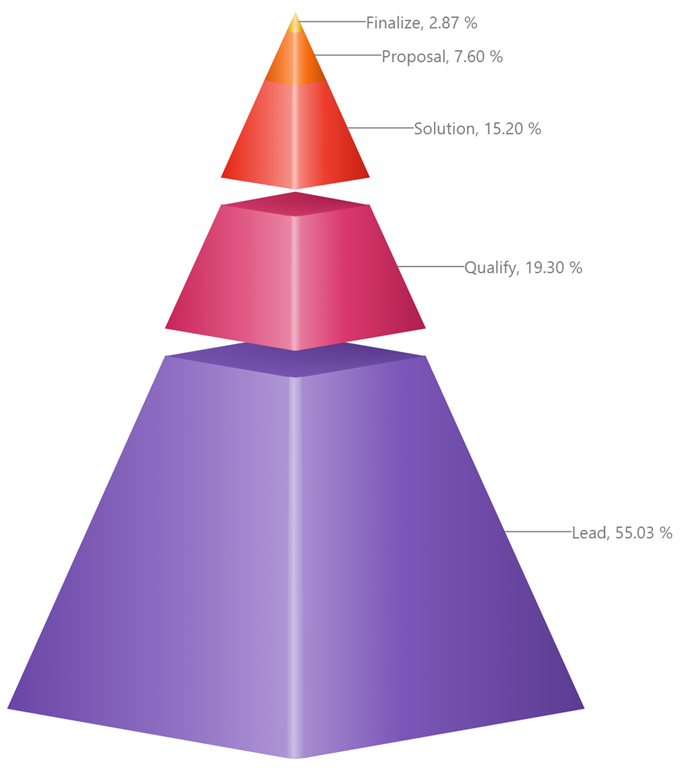 Microsoft released a new custom visuale create by Collatbion a 3d Pyramid.A pyramid chart represents data in the form of percentages, with the whole chart representing 100%. Download Pyramid 3D chart by Collabion from the custom visuals gallery. Pyramid 3D charts work best when you want to visualize data that diminishes in value with every successive stage. Sort the data in the chart. Click on one of the segments to make it pop out. Hover the pointer over one of the segments and the tooltip will give you a snapshot of the data without having to switch back to the data source. Customize chart title to indicate the subject matter more clearly. Try to avoid using lighter shades of colors in the chart.